This content is provided by Steven Reed. Steve Reed helps major US oil pipeline companies resolve their most difficult regulatory problems. 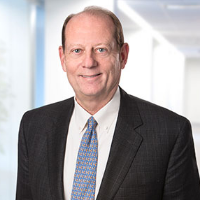 Due to his exceptional experience with complex pipeline issues and his deep understanding of the industry, he is consistently sought out to shepherd new pipeline projects through the regulatory process, and to help resolve challenging disputes arising before the FERC, state regulatory agencies, and appellate courts. For more than three decades, Steve has played a key role in landmark cases that have laid the foundation for FERC’s current regulation of oil pipelines. Steve also serves as the co-head of Steptoe’s Regulatory and Legislative Department.